These two friendly ladies have a small table in the front of a fabric store, across the street from The Old Siam. It's a busy pathway in the fabric district "Pahurat" where most shops are managed by people from India. 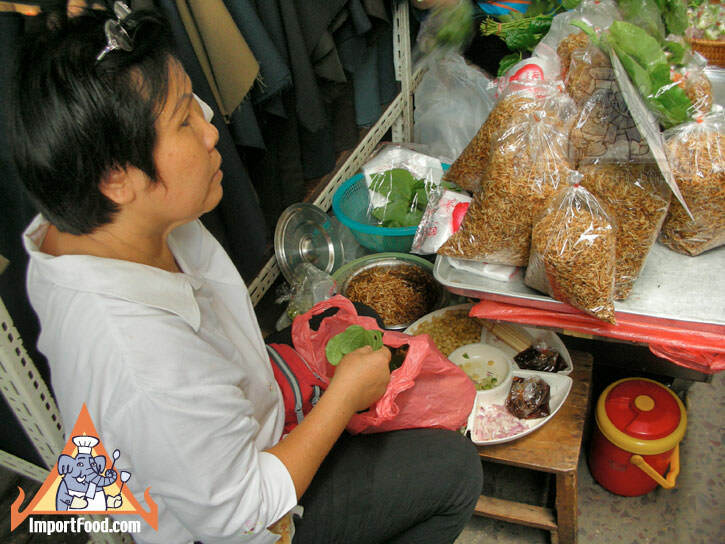 One of the ladies trims and sorts the betel leaves, and packages them along with small packets of diced fresh lime, ginger, dried coconut, peanut, dried shrimps, chile peppers, and tamarind sauce. 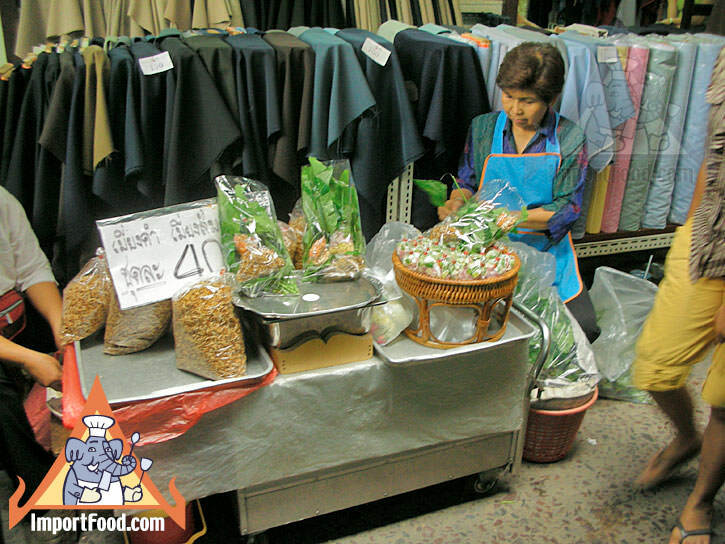 The other lady sells larger bags of dried coconut, and she pre-wraps miang kham for those who want it already wrapped. 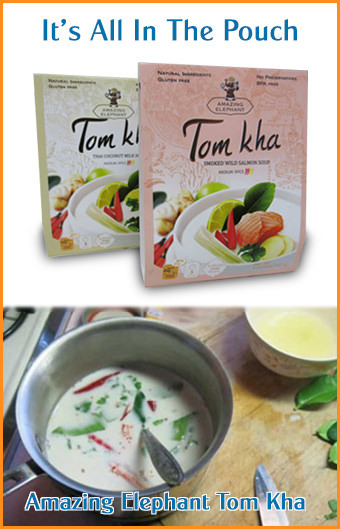 See our recipe for Miang Kham, and make this delicious, natural snack yourself. Your website is quite impressive and i look forward to reading your new blog postings. I appreciate your effort which you applied on this blog. Thank you so much for sharing this and keep it up.